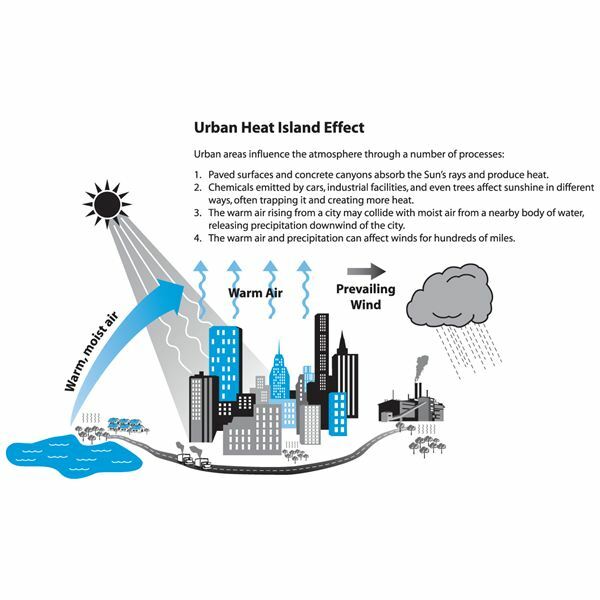 What is Urban Heat Island Effect? What Causes It? We all know that the population of the planet Earth is increasing exponentially. Along with that population increase will be a rapid development of technology, too. 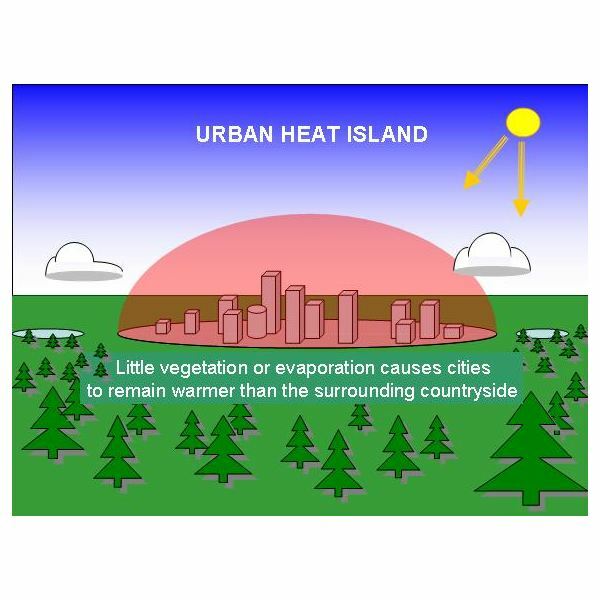 Population pressure causes direct and indirect effects on the environment.One such unknown, usually neglected effect is the uncontrollable expansion of "urban heat islands." The formation of these heat islands are mainly due to the construction materials used for the buildings. The fast paced expansion of cities also contribute to these heat islands. What are these heat islands, and how are they formed? An island is a piece of land surrounded on all sides by water. So what are heat islands? These are a particular part of land where there is a steep temperature variation between this part and its surrounding land. Usually heat islands in cities have a mean temperature that is 8 to 10 degrees more than the surrounding rural areas. The temperature difference is greater at night than in the day and larger in winter than in summer. The reason for maximum temperature difference at nights are for the reason that the rural areas gets cooled faster than the urban areas. Thus the temperature difference is maximum at 5 to 6 hours after sun set. As shown in the picture above, the slightly higher mean temperature forms a bubble or dome that is warmer than the surrounding areas. This forms a heat island. Many buildings found in urban areas have dark surfaces. Dark surfaces absorb more light energy, and heat, making the entire building warmer. Buildings with brick walls or roofs, if coated with dark coatings, also get heated up very quickly. In both cases, this heat is transferred both inside the structure and radiated into the surrounding air. Buildings with dark surfaces heat up more rapidly and require more cooling from air conditioning, which requires more energy from power plants, which causes more pollution. Also air conditioners exchange heat with atmospheric air, causing further local heating. Thus there is a cascade effect that contributes to the expansion of urban heat islands. 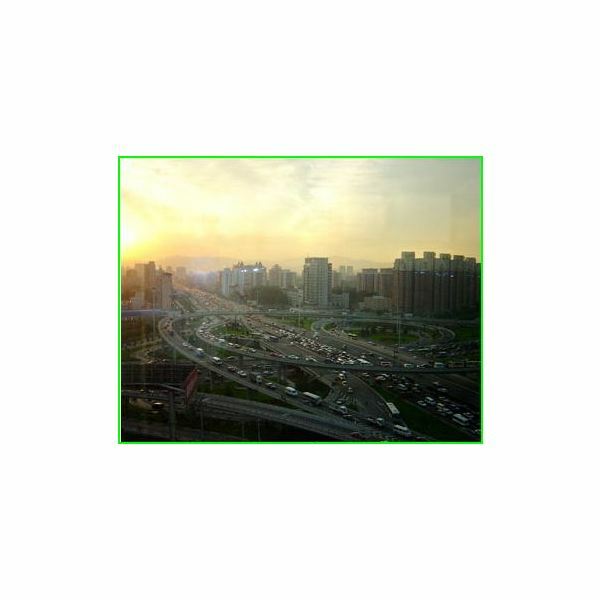 Asphalt and concrete, needed for the expansion of cities, absorb huge amounts of heat, increasing the mean surface temperatures of urban areas. Tall buildings, and often, accompanying narrow streets, hinder the circulation of air, reduce the wind speed, and thus reduce any natural cooling effects. Expanded transportation systems and the unimpeded use of fossil fuels also add warmth to urban areas. 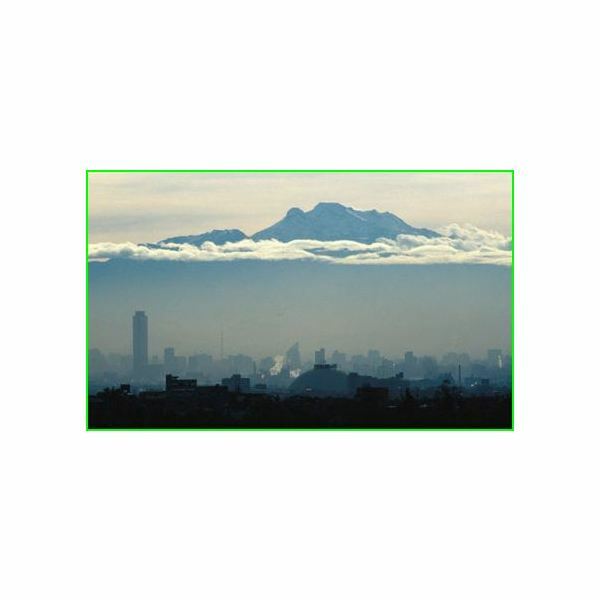 These pictures show smog formation in two cities. The formation of smog and increasing air pollution contributes to the problems of global warming. In my next article, we’ll discuss different green construction materials and construction tips.